Although the People’s Republic of China has recently emerged as a prominent player on the international football stage, its connections in the football world run deep. China’s changing internal politics have controlled its approach to international relations, including those in the sports world. 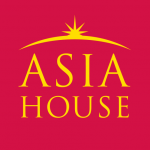 The modern history of international relations of the People’s Republic of China can be explained in three distinct periods: 1) from 1949-1970, when China was isolated and pushing back against international recognition of the independence of Taiwan (also known as Chinese Taipei); 2) from 1971-2007, when China attempted to normalize itself after the shock of the Great Leap Forward and the beginnings of the Cultural Revolution; and 3) from 2008 to today, as China carves out its own role as a confident player on the international stage. China’s relationship with football’s governing body, the Fédération Internationale de Fútbol Association (FIFA), progressed through three distinct periods with similar characteristics: 1) the ongoing conflict between China and FIFA based on the Cold War and the Taiwan issue; 2) the opening and recognition of China by FIFA after their exit in 1958, to their national goals to dominate football in the late 1990s; and 3) the slow emergence of China as a soon-to-be important player in global football before and after the 2002 FIFA World Cup. The Chinese Football Association (CFA) was founded in 1924 and affiliated with FIFA in 1931. When the PRC was founded on October 1, 1949, the Shengyan Football Team was invited to Beijing to play – “in celebration of the establishment of the new communist regime. Football was seen as a symbol of modernity; a talisman of topicality; a statement of intent. 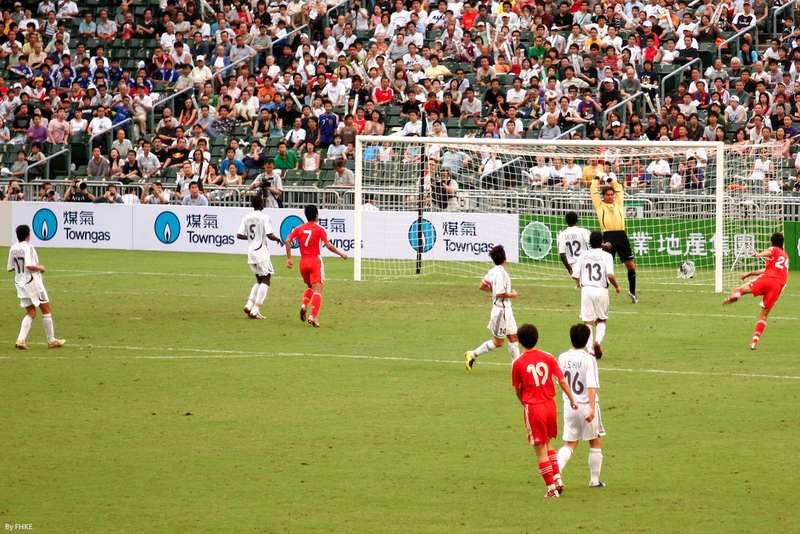 The intention was clear: modern sport would characterize modern China” (Dong and Mangan, “Football in the New China”). In December 1951, China fielded its first national team. In 1952, the China National Sports Commission (NSC) was established, bringing sport officially under government rule. In the following two years, local sports were established at various levels of Chinese society. The relationship between the PRC and FIFA, however, has been routinely impacted by the tension between China and the rest of the international system. In 1954, Taiwan was also admitted as a member of FIFA. FIFA’s recognition of Taiwan gave the impression of the “two Chinas” that carried over from the Cold War’s radical divide between the communist People’s Republic of China (PRC) and capitalist Taiwan. Two Chinas really meant two Chinese Football Associations (CFAs): one being the PRC, and the other known as the Republic of China, or Taiwan. Both members claimed to represent Chinese football players, and as FIFA members, each had an equal vote in FIFA’s Congress. As a result, the PRC’s CFA advocated for the removal of Taiwan from FIFA in 1956. When its demands were not met, the PRC officially announced its resignation as a FIFA member in 1958. Similar to China’s more general international relations policies, its break from FIFA represented its desire to be recognized internationally amidst its willingness to isolate itself to demand that recognition. In this way, China’s pull away from FIFA was characteristic of the Cultural Revolution’s foreign policies, and cannot be viewed as a unique or unexpected act. The IOC had a similar formula instituted in October 1979, after negotiations and visits to China. In 1980, the “formula” succeeded and the Chinese Football Association was ratified, making China a FIFA member once again. Despite China’s agreement to reintegrate politically, China still defied FIFA’s rules against government interference in sport and asserted its own self-sovereignty by presenting a report “on improving the technical levels of Chinese football” to the Chinese State Council, rather than FIFA (Simons, Bamboo Goalposts, 218). These actions in Chinese football reflect China’s position on international relations, showcasing the desire to integrate while also limiting its participation in the international economic and political systems. These goals did not come to fruition, and in 1998, the then-Minister of Sports announced a ten-year plan for Chinese football with goals to reach the World Cup finals and become one of the top sixteen teams in the world by 2002. This policy also failed, although China did appear in the 2002 World Cup. From 2008 to today, China has transformed itself into an important player defining its own international role. The year 2008 marks the fulfilment of the 100-year “Olympic Dream,” as Beijing held China’s first-ever Olympic Games and took a seat as a world-class host. The year 2008, then, is based on the Olympic calendar, and not a football calendar. While the third period of Chinese international relations more generally may have begun in 2008, the third period of Chinese football should begin in either 2000 or 2002. In 2000, FIFA’s President Sepp Blatter announced that China was the birthplace of football, in the form of the sport known as cuju that developed in Shandong province over 2,000 years ago. The formal recognition of China as the founder of football enticed a new pride in the sport as it suddenly grew Chinese roots. The other potential date is 2002 when China qualified for its first ever World Cup. Even though the Chinese national team did not win a game or score even a single goal, the 2002 World Cup sparked hope that Chinese football could – one day – be great. China is now ready to take more prominent roles in football: as founder of football, as an economic player in football, as a political power in football, and as a country ready to make changes to make way for football. As founder, China opened a £17 million National Football Museum in Linzi, Shandong in January 2016, to celebrate itself as the original place and creators of football. As an economic player, Alibaba Group just stepped in and saved FIFA’s sponsorship by signing a major deal to sponsor the Club World Cup from 2015 through 2022. As political power, candidates for the February 2016 election for the FIFA presidency appealed to China by hinting at the possibility of creating an Asia regional headquarters in Beijing and even hosting the World Cup. Lastly, China has showcased its willingness to transform to accommodate football on its own terms: the CFA officially separated from the Chinese General Administration of Sport in an effort to separate sport from government, and President Xi Jinping released a plan in February 2015 detailing how he will expand football throughout the country in the next ten years. What used to be the Chinese Olympic Dream is now Xi’s “World Cup Dream,” and China is again vying for international prominence in an effort to define its role in the football world. Although China has already grown to a position of power in global economics and politics, it has a long road ahead until it can say the same for football. China’s engagement with FIFA provides a window into its foreign policy, and their evolving relationship will showcase China’s commitment to balancing its own inflexibility with international norms of cooperation. Football can continue to serve as a vehicle of China’s opening to the West, an arena where China will make concessions to strengthen its position with the long-term goals of success. Those goals, however, can only run on fumes for so long. The next decade is a crucial period for Chinese football to sink or swim, and China’s ever-increasing importance in the international order will push football to concurrently catch up – either by its own evolution or by force. Layne Vandenberg is a Fulbright Scholar and graduate of the Yenching Academy at Peking University in Beijing. Image Credit: CC by FHKE/flickr.